Unchecked, this leads to a scenario where selection for the survival of individual cells is favoured over survival of the entire organism, namely cancer. A more formal framework for this reversion is the Atavism hypothesis of cancer, which proposes that cancer cells lose their identity as cells of a multicellular tissue, and start to behave more like unicellular organisms. "Incredible" images of DNA in action have been captured by scientists who will use them to design cancer drugs. What makes the tragedy so much worse is how the antivacine vultures responsible for VAXXED have swarmed around the family since discovering his case, encouraging his mother to buy into the false notion that Gardasil injured her son to the point where he was so damaged that he took his own life and blaming Gardasil for his suffering and death. Their behavior, their exploitation of Colton and his family, is beyond despicable. This fundraising is intended to accelerate the development of Immunoscore® for colon cancer and selected additional cancer types and set up commercial activities in the US. 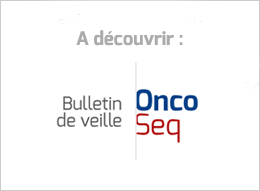 Immunoscore® is a breakthrough diagnostic platform based on the analysis of the tumor microenvironment combining immunohistochemistry and advanced digital pathology to guide oncologists in optimizing the management of their patients. Critics believe that even with the aid of low-cost genetic sequencing and high-powered algorithms, liquid biopsy detection is still years away from being patient-ready. The startups have shared scant data so far. Testing all women for the "Angelina Jolie gene", even if not considered at risk, would prevent cancers, save lives and is cost effective, say doctors. The chimeric antigen receptor T-cell (CAR-T) therapies are particularly important. Other trends in cancer therapy are the approvals of more oral drugs, breakthrough therapies, targeted therapies and medications with orphan drug designation. In the current study, the researchers confirmed that hormone-driven breast cancer cells use a newly discovered protein, NUDT5, to produce energy in the cell nucleus. This nuclear energy source provides energy for the expression of genes that drive cancer growth. With this in mind, there should be no further excuses for failing to use all the tools the NIH and FDA have available to push compliance with clinical trial results reporting requirements to 100 percent. Patients who underwent the experimental procedure at 8 hospitals in the Netherlands typically survived 45.7 months compared to 33.9 months for women who just received the tumor-removal surgery and conventional chemotherapy. Cell therapies are complicated and expensive, and rivals have a head start. Since Novartis' FDA nod, Gilead's Yescarta picked up an approval to treat adults with certain types of large B-cell lymphoma, including r/r DLBCL. Gilead entered the field through its $12 billion Kite Pharma buyout in August. To help enhance the treatment, Penn scientists intend to use CRISPR to delete two genes in patients’ T cells to make them better cancer fighters. One of the genes to be removed makes a “checkpoint” molecule, PD-1, that cancer cells exploit to put brakes on the immune system. This multi-center single-arm trial will enroll up to 39 patients (without EGFR activating mutations or ALK-rearrangements), both in the USA and Europe. Other Gilotrif expansion efforts haven’t quite gone the way Boehringer would have liked. In 2016, the German pharma scrapped a pair of phase 3 trials studying the therapy in patients with locally advanced head and neck cancer who showed no signs of disease after chemo. If J&J loses this battle, it still has a late-stage drug in front of the FDA — apalutamide, or ARN-509 — it’s hoping can protect the big revenue stream it gets from Zytiga (abiraterone), an oral drug that has helped revolutionize prostate cancer treatment over the last 5 years. The Patent Trial and Appeal Board said a Johnson & Johnson patent describing a method of administering Zytiga should not have been granted because the process it described was obvious. The ruling was a victory for U.S. generic drug company Argentum Pharmaceuticals LLC, which had asked the board to invalidate the patent in hopes of bringing its own version to market. That looked set to change with the appointment of Gottlieb, who presented himself as a proponent of the publication of CRLs earlier in his career and during confirmation hearings ahead of politicians voting for him to become FDA commissioner. To qualify for orphan designation, a medicine must target a disease that is life-threatening or chronically debilitating that affects less than 5 in 10,000 patients in the EU. EMA says the reports are being released in response to concerns from stakeholders that some drugs benefiting from incentives for orphan medicines may not still qualify for the designation in the time between when the designation is first granted and the time of authorization. If you’re really interested in improving transparency at the FDA — and benefiting public health — you’ll figure out a way to make all complete response letters public. Get to work, Scott. This recommendation is not intended to affect treatment with crizotinib that was started in the NHS before this guidance was published. As such, interim funding through the CDF has been approved by NICE – to treat relapsed and refractory multiple myeloma in adults whose disease has progressed despite three prior treatments, including proteasome inhibitor and an immunomodulator - to allow for the collection of additional data until November 2020, after which guidance will be reviewed. Pfizer’s Xalkori (crizotinib) has been turned away by the National Institute for Health and Care Excellence (NICE) to treat ROS1-positive advanced non-small cell lung cancer (NSCLC). A group of large hospital systems plans to create a nonprofit generic drug company to battle shortages and high prices. Data continue to affirm the impact of Stivarga® (regorafenib) and Nexavar® (sorafenib) / New analyses from ongoing trials for the treatment of metastatic colorectal cancer (mCRC) and hepatocellular carcinoma (HCC). The study, published in the Journal of the National Cancer Institute, used data from comprehensive dental exams performed on 7,466 participants who were then followed from the late 1990s until 2012. During the follow-up period, 1,648 new cancer cases were diagnosed. In order to improve early diagnosis rates, they called on GPs to immediately order a blood test for anyone presenting with one or more symptoms of blood cancer. Symptoms of blood cancers can be similar to the symptoms of feeling “run down” or flu, such as fatigue, night sweats, weight loss, bruising and pain, they said. The inquiry's report The ‘Hidden’ Cancer – The need to improve blood cancer care was launched in Parliament on 17 January 2018 and concluded that the government’s 2015 Cancer Strategy is not doing enough to support blood cancer patients and patients feel let down. It also recommended that GPs should immediately request a blood test for anyone presenting with one or more symptoms of blood cancer. Cooperation Will Harness Expertise from Emerging Field of Molecular Pathology to Broaden ASCO’s CancerLinQ® Platform. OWKIN Socrates uses machine learning-based modeling to analyze molecular and imaging libraries as well as patient datasets to uncover complex biomarker patterns that cause disease. Shortly after ruling out the earliest priority dates on a foundational patent for CRISPR gene-editing technology, the European Patent Office rescinded the patent entirely—and more are likely to follow. In a 2003 paper in BMJ, the authors made the tongue-in-cheek observation that there are no randomized controlled trials (RCTs) of parachutes. This paper has been widely read, cited and used to argue that RCTs are impractical or unnecessary for some medical practices. We performed a study to identify and evaluate claims that a medical practice is akin to a parachute.